Agilent Technologies Inc. (NYSE: A) recently announced five additions to its portfolio of handheld instruments. 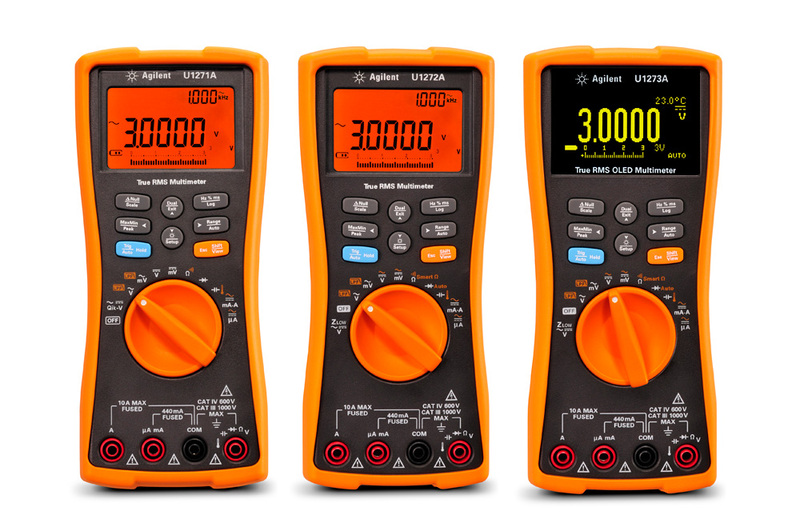 The U1273A handheld digital multimeter brings the clarity of an OLED display to the rugged and ergonomic U1270 Series. 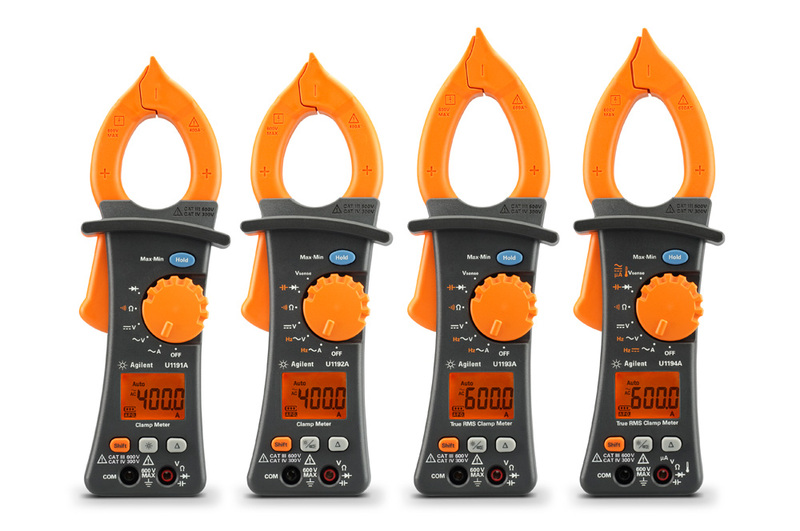 Four new U1190 Series clamp meters provide lower-cost complements to the existing U1210 Series. Among industrial DMMs, the U1273A redefines display quality with its crystal-clear OLED screen. With a 2000-to-1 contrast ratio, the display delivers superb indoor viewing through 160 degrees and gives users confidence they are getting the right reading at first glance. Water and dust resistant, the U1273A enhances measurement results with functions such as Smart Ohm, which minimizes readings from residual voltages induced by leakage currents. The U1190 Series clamp meters enable safe measurements of electrical current in the 400 to 600 A range. The clamp assemblies include a wire separator and hook that technicians can use to select tangled cables under adverse conditions. Plus, a built-in flashlight mounted at the base of the clamp provides direct illumination in poorly lit conditions with safety ratings of CAT III 600 V/CAT IV 300 V.
"The unique capabilities of these new models bring greater confidence and convenience to on-the-go troubleshooting in a variety of industrial applications," said Ee Huei Sin, vice president and general manager of Agilent's Basic Instrument Division. "As we expand Agilent's range of handhelds, our ongoing goal is to create dependable tools that provide a wealth of essential capabilities while remaining easy to use." Gooi Soon Chai, vice president and general manager of Agilent's Electronic Instruments Business Unit, added, "Agilent consistently strives for innovative approaches to simplify our customers' daily tasks when utilizing handheld test instruments." The U1273A is now available worldwide. The list price is $395. More information is available at www.agilent.com/find/U1273A-pr. High resolution images are available at www.agilent.com/find/U1273A_images. More information about the U1190 Series is available at www.agilent.com/find/U1190-pr. High-resolution images are available at www.agilent.com/find/U1190_images.